Reward your team or club's Parents Player with these football shield trophies. 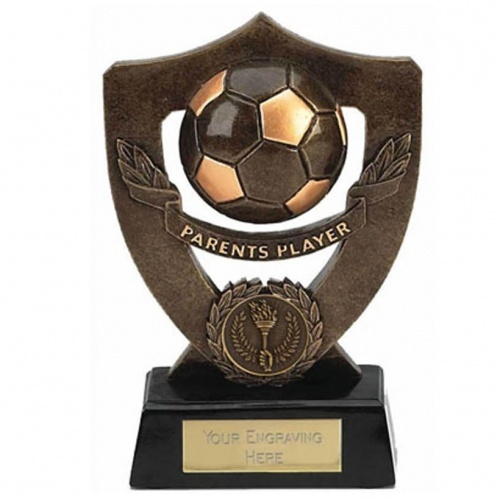 Crafted in resin in a bronze and gold colour two-tone finish, they feature a shield frame enclosing a football and banner with the legend 'Parents Player'. Set on bevelled base with engraving plaque. Overall height of this football Parents Player trophy is 7in (175mm).